Kenya is home to the most spectacular and awe-inspiring wildlife and landscapes in the world. There is no better way to enjoy these incredible world treasures than by joining a safari and experiencing the magnificence of the continent first hand. 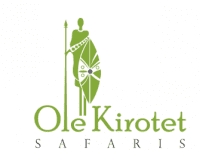 Ole Kirotet Safaris is uniquely positioned to create safari experiences that blend outstanding wildlife viewing. Led by experienced Tour guides, Ole Kirotet Safaris custom designed safaris are ideal for people who want to see Kenya for the first time or are seasoned travelers.